Kodi builds are pre-configured Kodi installations. A build is an excellent way to make Kodi set-up easier, while also expanding what you can do with Kodi through additional features and an interesting new layout theme. While you can install Kodi on almost any device, such as Apple TV, Chromecast, or Roku, a Kodi build can only be installed on specific devices, like the Amazon Fire TV or TV Stick, Raspberry Pi, iPhone, Mac, Windows PC or Nvidia Shield. 3 You should always perform a fresh start before installing a Kodi build. 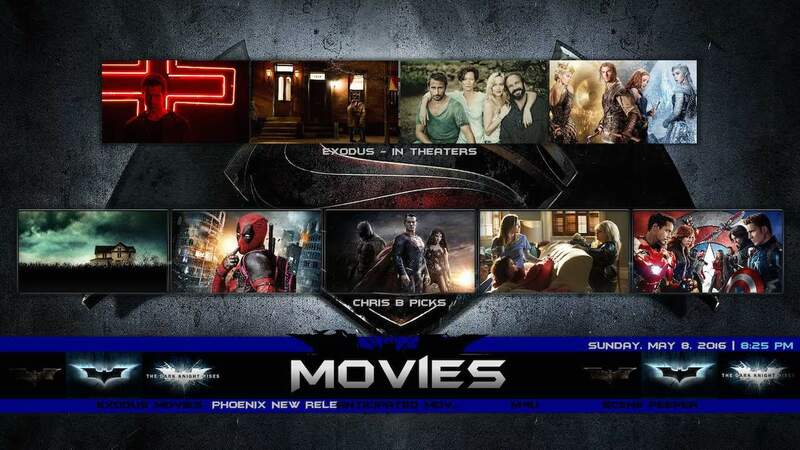 There are hundreds of Kodi addon builds available across the web. While have haven’t tested all of these, these are some of the best builds you’ll find in regards to customized themes and options. Unfortunately, when you download a Kodi build, there’s no way to really know what addons or addon repositories are getting addon to your Kodi installation until after the build is installed. As a result, you may end up installing Malware accidentally onto your device. This happened to one Kodi user and tester, who posted a warning about it on the popular third-party Kodi Reddit forum, /r/Addons4Kodi. That user found that he had installed a cryptocurrency coninmining trojan while testing different builds. We recommend running an antivirus program on any device you use with Kodi. Whether you’re running Kodi on Android, Windows, Linux, iOS, or MacOS, Kodi addons come with an increased malware risk to your system. Even some of the popular and most used addons, such as GAIA and Bubbles, carried malware and infected millions of users without their knowledge. You’ll find that there are many high-quality and free antivirus apps for Windows, Mac, and Android devices. Kodi builds will come already stocked with many Kodi add-ons. However, most builds will come with a mixture of official and unofficial add-ons. We’ll walk you through the process of setting up a Kodi build, while also providing easy instructions for how to remove unofficial add-ons. Removing unwanted, unofficial add-ons will help ensure you do not accidentally stream pirated material. Please be warned: While part of the reason to use Kodi builds is to enjoy new features and a more interesting skin, as well as save yourself time in trying to download and install add-ons, you may be getting plugins that offer unofficial streams. We do not provide a list here describing what add-ons exist in any of these builds and do not condone or recommend users utilizing any add-ons that pirate content. For the most part, the best build out there is the one you make yourself. Although Kodi is a stand-alone app, the addons you install through builds mostly scrape popular websites to get their streams. As a result, your ISP can see all of your Kodi streaming activity. ISPs can not only collect and sell your browsing data, they can also hand over that data to third parties who request it. This makes your streaming data from Kodi builds insecure. A VPN will hide all of your streaming activity behind a heavily encrypted, private data tunnel. When you connect to one, your streaming activity remains private, as does your true location. Among the best options we’ve tested for Kodi build users is IPVanish. Not only does it use military-grade encryption, but it also has apps for numerous devices, including the Amazon Fire TV stick. IPVanish can also be used on up to 10 devices at the same time, making it a good solution for Kodi users with multiple installations. Reader deal: IPVanish has been in touch to offer our readers a discount of up to 60% on their plans here For alternate choices see our list of the best VPNs for Kodi. You should always perform a fresh start before installing a Kodi build. The best thing to do when starting with a build is to have a fresh Kodi installation. You can download a fresh installing at kodi.tv/download. A fresh install will help prevent any issues with installation conflicts between the build installation and other add-ons you may have already installed. A big reason why you’re installing Kodi builds is to get the extra features not typically located in a bare Kodi media center install. However, you will end up some with unwanted and unsavory add-ons int he process. Thankfully, you can delete these add-ons pretty easily. This process will look different in different builds, as the skins change how your Kodi looks and feels. Find the name of the add-on you want to remove. Right-click on the add-on, and then click on Information. You will now see a screen that gives you options, such as “Disable”, but most importantly, one that says “Uninstall”. Your unwanted add-on will not be uninstalled from your Kodi build. Note, however, that this will not actually delete the unwanted add-on. It will still live on your system. If you want to completely delete the add-on, you will need to find the zip file for the build you installed, open it, and completely delete the plugin with the name of the add-on you want to delete. When we talk about the “best” builds below, what we mean are the builds that have the best user interface for Kodi and provide the best experience. These are also the builds everyone is talking about, meaning we’ve only listed builds that are heavily user-approved. The Kodi No Limits Build comes in several flavors, which include versions that have adult sections and those that don’t. You can also install a Lite or Full version of the build, so the download size can vary depending on the version you choose. Additionally, unlike some other builds, Kodi No Limits Build lets you install over top of your current build so you don’t have to completely erase or delete addons already installed. However, not that installing a build overtop of another build might break something in the installation, so it’s a good idea to do the fresh install. Inside, you’ll find sections for TV Shows, Movies, Sports, Live TV, and more. Kodi No Limits Magic runs on the Aeon Nox SiLVO skin, which you can download and install separately from the developer. If all you’re looking for is that great Kodi skin without having to go through the process of deleting unwanted addons, we recommend installing the skin instead of the build. Built on the Bello 6 skin, the BK Links Build comes loaded with addons designed for users who want on-demand movies and TV shows as well as some live TV options. 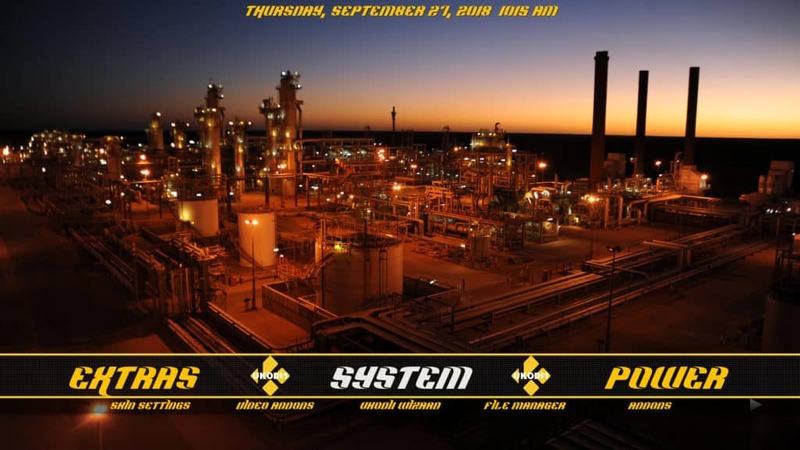 The build is loaded with some of the latest and most popular third-party addons, such as Placenta and Neptune Rising, and other popular addons that are often used as dependencies, such as SportsDevil and YouTube. You can easily delete the third-party addons and keep the official ones to maximize your experience and increase the speed of this build. 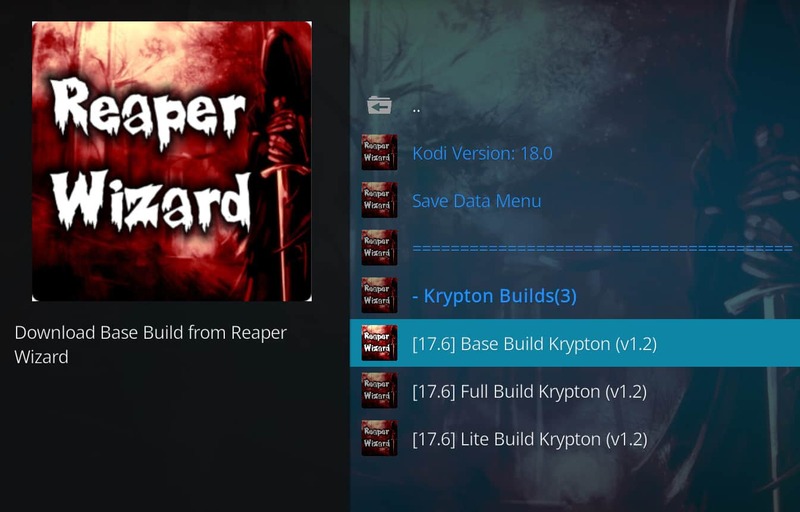 A simple build from Reddit Reaper, the Reaper Builds can be downloaded in either the Lite, Standard, or Base version. Unlike most builds, this build does not come with a lot of different addons or unique skins. Instead, it makes some modifications to the Kodi menu, eliminating a lot of the left-side menu options down to just Addons and Favorites. Additionally, the only addons in this build are GAIA, Magicality, Masterani Redux (anime), Placenta, YouTube, and Premiumizer. You’ll want to delete all but YouTube in this one to keep it fully legitimate. You can then download addons from the Official Kodi Addon Repository, such as Tubi TV, Crackle, or Xumo. Beast Encore gives access to a wide array of content. Thankfully, all of the content is well organized and easy to find. From Live TV to content for kids, there’s content geared toward everyone on the Beast Encore build. The Tomb Raider build comes with lots of add-ons, allowing you to quickly start enjoying your favorite shows. The Tomb Raider build comes with add-ons which provide lots of TV shows, movies, documentaries and even live content. It’s the add-ons under the EXTRAS ZONE category on the main screen that makes the build stand out. You will find add-ons such as the UK Vehicle Check which allows you to check the Ministry of Transport status and tax status of any IK vehicle. The GYM WORLD add-on also under EXTRAS ZONE is also a nice touch and is great for those of us who love the fitness world. Updates can even be carried out from directly within the build. Evolution contains a large amount of add-ons with great content; from Live TV to sports, you will find it on Evolution. What sets Evolution apart from many other builds is that it separates out its high quality 1080P HD & 3D films out into a separate category on the home menu of the build. Durex is one of the few builds that has endured for several years, with regular updates and maintenance from its developer. As one of the more popular builds, you should also anticipate that this one might be a bit slow to download or downloads that on occasion fail to work. You may also need to test various download servers to get it downloaded. Durex Build comes stuffed with addons, including popularly-used third-party addons like GAIA, The Magic Dragon, Maverick TV, and Fantastic. It also includes a section for Durex’s own paid IPTV, which can only be used if you sign up for their service via Facebook. We recommend you uninstall the majority of the addons there to get the best, safest experience, and that you avoid Durex IPTV in favor of other options. From developer ukodi1, the Ultimate 17 build is a light build with a starkly yellow theme. This build has sections for movies, tv shows, sports, and kids, but is actually only powered by just half a dozen addons, including a few third-party addons such as Planet MMA and Kratos, that you’ll want to delete off the build to avoid any infringing content. Unlike most of the other builds on this list, ukodi1 has also updated a few of his builds for Kodi 18 Leia, including the Ultimate Build. 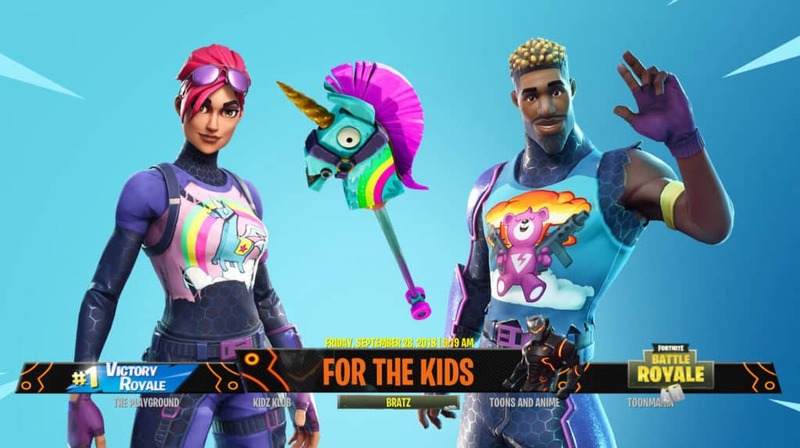 Running on the Aeon Nox SiLVO skin, Nymeria’s Fortnite Build is a letter of love to all things Fortnite. This build is one of the most highly customized builds you’ll find in regards to the theme. Simply put, it’s beautiful and interactive in all of the ways that make Kodi unique to use. You’ll find sections music, movies, TV shows, sports, IPTV, all-in-ones, documentaries, and a section “For the Kids”. Every aspect of this build has been customized to give a full Fortnite experience, even the settings, which many build makers tend to ignore. While there are a good handful of legally-available addons in this build, there is still a handful that you’re going to need to delete first to bring the build up to speed, including addons such as Supremacy, Aspis, Yoda, Real-Debrid, Loki, Planet MMA, and a few others. Addons available that are great to keep in this build are BBC iPlayer, ITV, YouTube, and a few others. 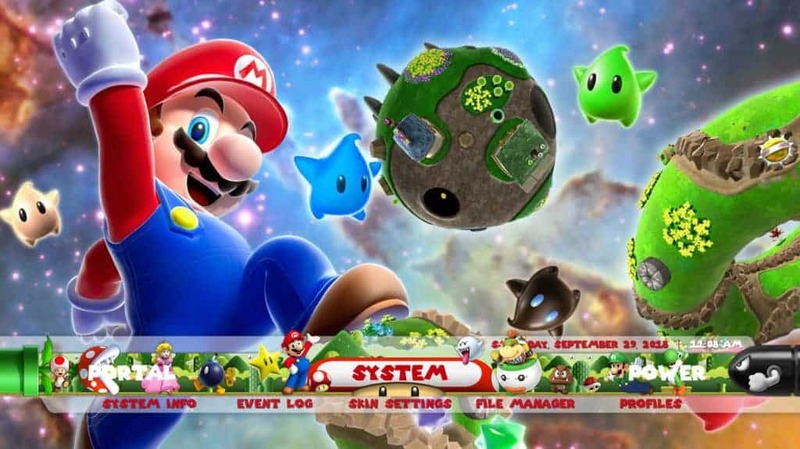 A very lightweight build designed for Kodi users with kids, the Max’d Mario build has a very Mario-centric theme throughout, even down the settings. There’s a “Max’d Kids” section with movies, TV shows, audio books,and karaoke, as well as sections for different Kids networks. There are only two addons available in this build: Deceit (a third-party addon) and YouTube. You’ll want to remove Deceit and install other addons such as Tubi TV to bring this great build up to code. Add source to file manager. Install repository plugin. This step is not necessary in many cases, however. Install build from the relevant wizard. Restart Kodi. After the installation process has been completed you will usually be asked to do a Kodi force close. On Windows, Linux and Mac OS, just choose OK. On Android, and iOS devices, unplug your device or close Kodi from your device’s task manager. Before you get started, you will first need to register here. Please note that there are several ads on the page that may lead you to links that aren’t the actual registration section and are just Google ads. You need to scroll down until you see the registration section pictured below. 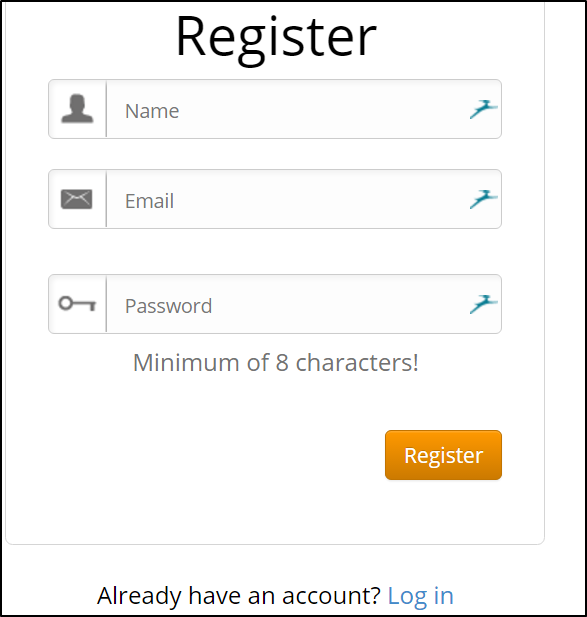 After entering the required information and clicking Register, you will then see a notification thanking you for registering. Click on log in to continue. You will now need to scroll down until you see a box containing the name you used during registration. Click on Verify Here. You should now be able to see Yes under the Verified? Column were Verify Here previously was displayed. This means that your registration was successful and you can now continue the process on Kodi. Add “http://thebeast1.com/repo” to sources in File Manager if you’re from the UK. If you are from the US enter “http://thebeast2.com/repo”. If you are from neither area choose the closest area. Name the source. Highlight The Beast Wizard in PROGRAMS ADDONS and press ‘c’ on your keyboard or press the menu button if you are using a remote. Select Settings and enter the email address and password you used earlier when registering and then press OK.
Open The Beast Wizard and the version of Beast that you want to install. Add “http://ares-repo.eu” to sources in File Manager. Name the source. Find the source and install repository.tombraider.official-0.x.zip from Addons>Package Symbol (top left)>Install from zip file. Still in Addons>Package Symbol (top left), select Install from repository and then Tomb Raider Repo, followed by Program add-ons. Select Tomb Raider Builds Wizard, hit Install and proceed when you receive the “Add-on enabled” notification. Open Tomb Raider Builds Wizard in PROGRAMS and select TOMB RAIDER BUILDS HERE. Finally, choose Nemesis and let it install. Now, select TOMB RAIDER 2.48 JARVIS and wait for the download and installation process to finish. Add “http://repo.hackmykodi.com/wizards/” to sources in File Manager. Name the source. Find the source and install plugin.video.evolutionwizard.zip from Addons>Package Symbol (top left)>Install from zip file. Go to PROGRAMS ADD-ONS and select evolutionwizard. Select Evolution and the build will now download and install. Click on the Wizard, and dismiss any popups. Then, go to Builds and locate Nymerica’s Fortnite Build. Click to install. Note that this build’s theme will ONLY work on Kodi 18 Leia. Otherwise, all you will get are the addons. Which builds / addons are still working on kodi16.1 please? A lot of streaming sites are using HTTPS these days. This isn’t supported in Kodi 16 so a lot of content simply won’t load for you. I recommend upgrading to Kodi 17 if you can. Try a reinstall of the build and see if this fixes things. I have 17.3 installed and just downloaded add-ons from repositories without a regular build.What build would be best for me to KEEP all my add-ons and repos i already have.I have adult content on here also if this matters. It’s usually best to do a Fresh Install to avoid file conflicts. Hi mick. I would recommend upgrading to Kodi 17.3 as this is pretty much necessary now as outlined here(https://www.tvaddons.ag/upgrade-kodi-krypton/). Can more than one build be installed? Only one should be installed at a time. Which ones till work for kodi 16.1, is there any builds for 16.1. All of the builds mentioned should work for Kodi 16.1.